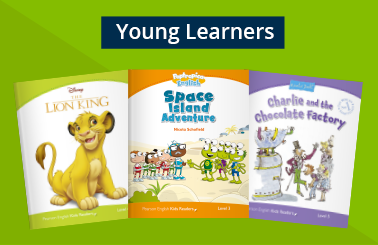 Presenting an unbeatable range of over 480 stories for kids, teens and adults across a range of genres and in a range of formats, Pearson English Readers are an ideal resource for language learners to experience the joy of reading. Which is your favourite fairytale? Which is your favourite love story? 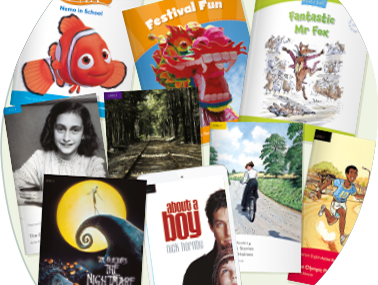 Our simple, colour-coded e-catalogue makes it easy to choose classic, contemporary or original stories - such as Marvel and Disney - to suit your learners' needs. English is our global language – it belongs to the world. It’s our belief that only by sharing a common language can cultures come together and learn from one another. In a world where the barriers of time and distance are constantly shrinking, overcoming the language barrier creates endless possibilities. So our aim is simple, but powerful: we want to help the world understand each other better, by better understanding the needs of each learner. 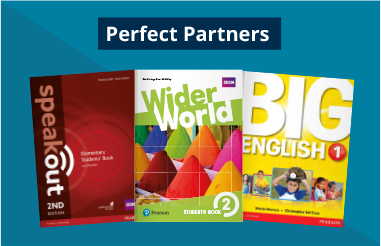 We’re the world’s learning company, with expertise in educational courseware and assessment, and a range of teaching and learning services powered by technology. Our products and services are used by millions of teachers and learners around the world every day. Our mission is to help people make progress in their lives through learning — because we believe that learning opens up opportunities, creating fulfilling careers and better lives.